This week’s #TeamFYNSports Sports Writer Player of the Week is Michael Burrell. Burrell, had two touchdowns this past Friday night against LaFayette. One on offense, & one on defense. Burrell, was also called on to punt a couple of times for the Dragons. 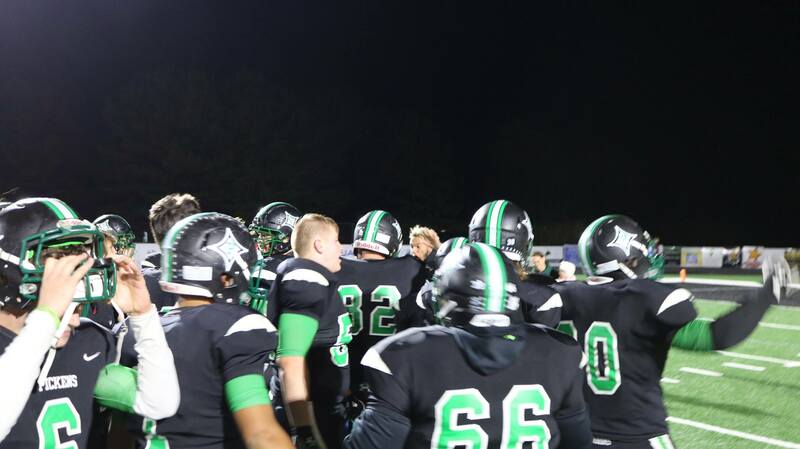 On the night, Burrell threw a 15-yd touchdown pass to QB CJ Streicher, picked off a pass and took it 20-yds for a score (1 of 4 turnovers for the Dragons on the night), had a rush of 15-yds while in at QB, collected 4 tackles, & punted twice for 79 yards. One of those punts was inside the 20-yd line. For the season, on offense, Burrell is 6/9 passing for 158 yards & 3 TD’s, rushed for 315 yards on 39 attempts, & 5 TD’s, caught 4 passes for 128 yards & 2 TD’s. Defensively, Burrell has 24 tackles, 3 INT’s, 6 pass break ups, & 1 defensive TD. Burrell has also punted 5 times for a total of 187 yards (37.4 yd average), & have had 3 punts downed inside the opponents 20-yd line. 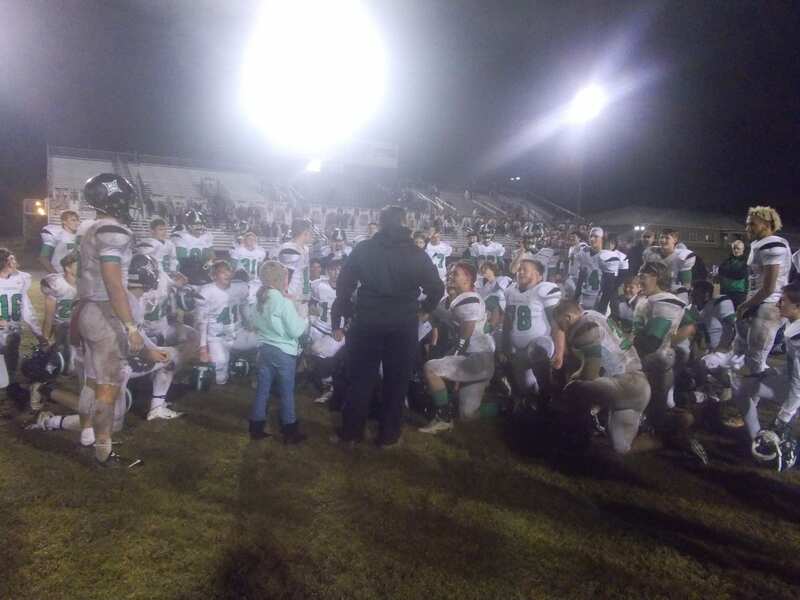 With the 48-19 win over LaFayette last Friday, the 6-AAAA region champion Dragons completed a 10-0 regular season for the first time in school history. 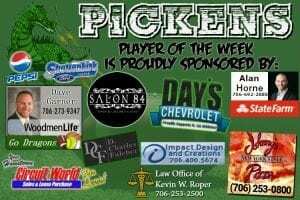 You can catch Michael Burrell & the rest of the Pickens Dragons at home on November 9th as they host the #4 seed out of region 7 in the 1st round of the 2018 4A State Playoffs. Kickoff is set for 7:30 pm. This week’s #TeamFYNSports Sports Writer Player of the Week is Senior Kaleb Ray. Kaleb, plays almost everywhere for the Dragons. On offense he plays receiver & running back, on defense he plays corner, & he’s a big part of special teams. Kaleb came up big this past Friday against Ridgeland with the 6-AAAA region championship hanging in the balance. Ray, had two momentum shifting plays back to back. 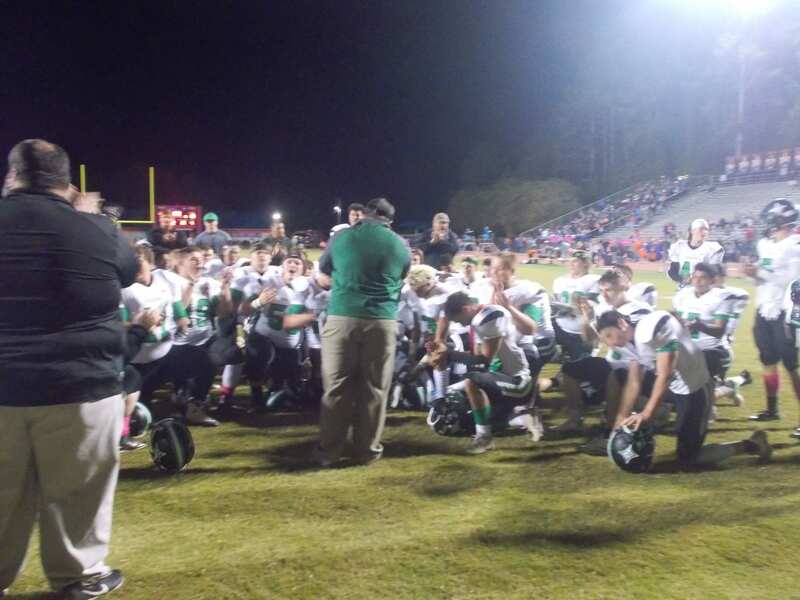 First, with Pickens leading 17-14 in the 2nd quarter, the Panthers lined up for a field goal to tie the game. Ray, came off the left side of the line, & blocked the would be attempt. On the very next play, QB CJ Streicher found Ray open down the left sideline & he took it to the house for a 73-yd touchdown, Giving the Dragons a 24-14 lead. On the night, Ray had 15 yards rushing. 13 of those yardscame on one play and resulted in a 1st down, had 1 catch for a 73-yd touchdown, made 2 tackles on defense & broke one pass attempt up, gained 24 yards on a kick off return, & blocked a field goal. 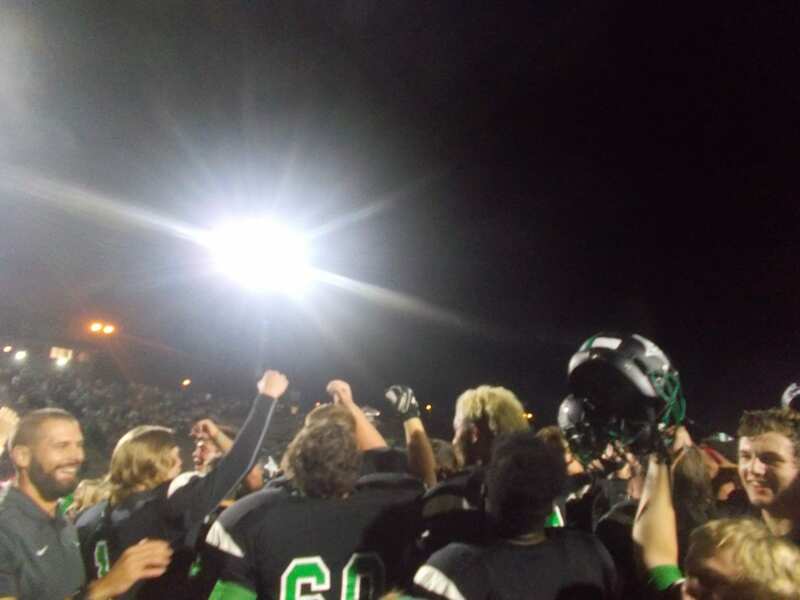 The Dragons are 9-0 for the first time in school history & have won their first ever region title. They will be back in action next Friday in LaFayette as they take on the Ramblers to close out the regular season. Kick off is scheduled for 7:30 pm. This week’s #TeamFYNSports Sports Writer Player of the Week is defensive lineman Dallas McHale. McHale had a whale of a game this past Friday night against Northwest Whitfield as he collected 6 total tackles, 5 of those tackles were for a loss, including a sack, & McHale also broke up a pass attempt. McHale, is part of a Dragon defense that has been stingy against opponents offenses all season long through 8 games. 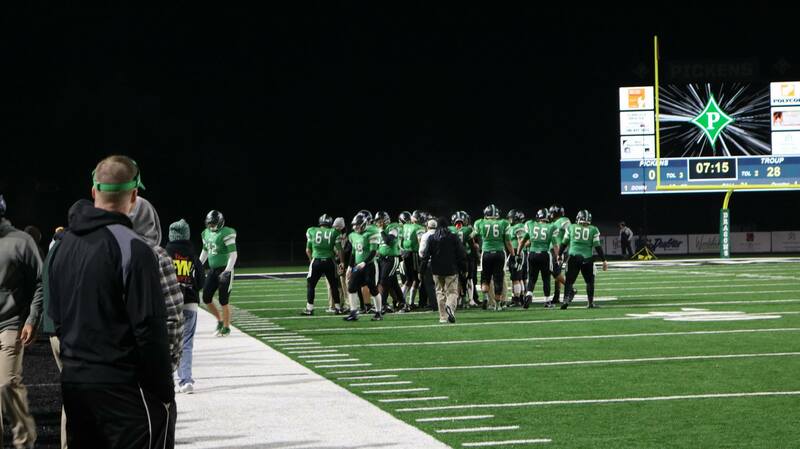 Through 8 games, the Dragons defense has given up a total of 93 points on the season. That’s 11.63 points per game. They are also allowing less than 200 yards of offense on the season at 192.5 yards per game. 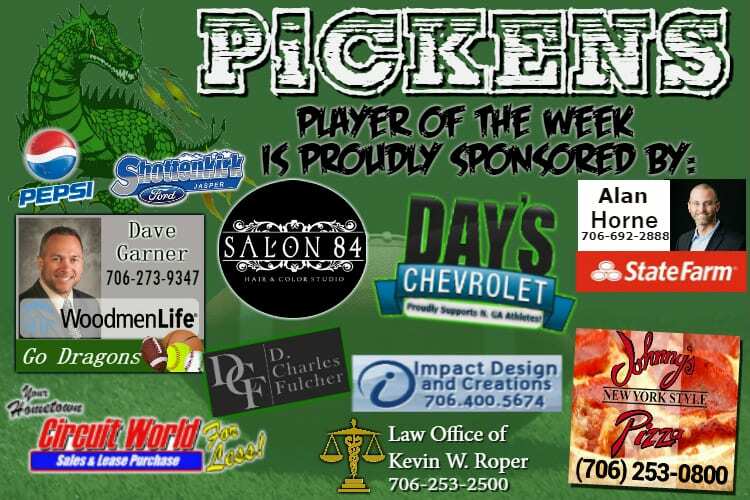 Be sure to catch Dallas & the rest of his Dragon teammates next Friday night as they host the Ridgeland Panthers at Dragons Stadium. Kick off scheduled for 7:30.